Home > Cover Hem > Janome Cover Hem >Janome CoverPro 2000 CPX Coverstitch. Normally £499, Save £50. 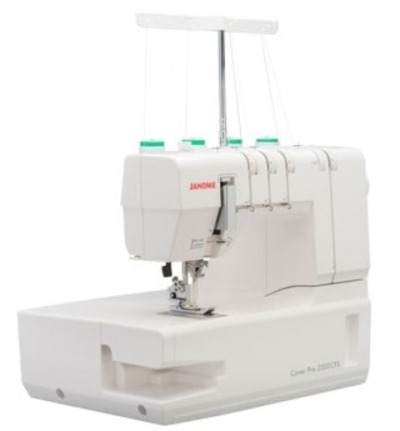 Janome CoverPro 2000 CPX Coverstitch. Normally £499, Save £50. 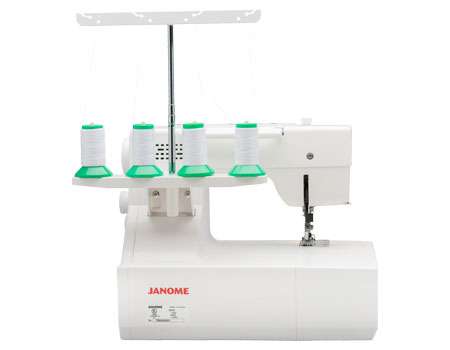 The Janome CoverPro 2000CPX is a combination of an industrial-style cover hem machine and a convenient home machine. The resulting union has produced a high speed, long arm, heavy duty cover hem machine, that looks and operates like a product. This Coverhem has been upgraded to provide greater control over fine fabrics and thereby an even better stitch quality. 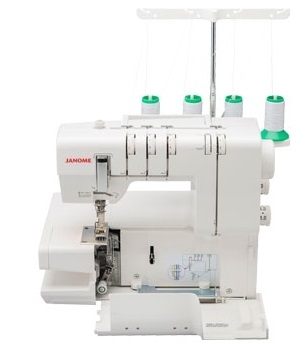 The Janome 2000CPX has been designed around a product rather than an overlocker. 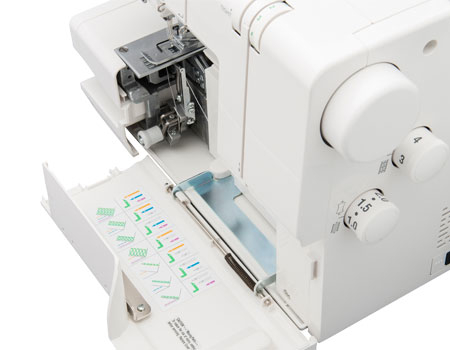 This means it sews like a product with all the dials conveniently located. 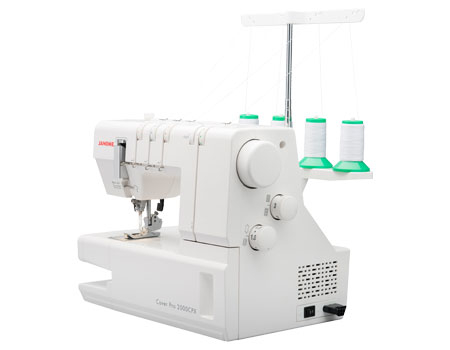 The electronic control is uniquely designed, 2000CPX is a dedicated cover stitch only machine with 3 needles and a wide triple cover hem stitch. It has a much larger arm space than competitor models and it has a freearm facility that is unique to this type of machine. 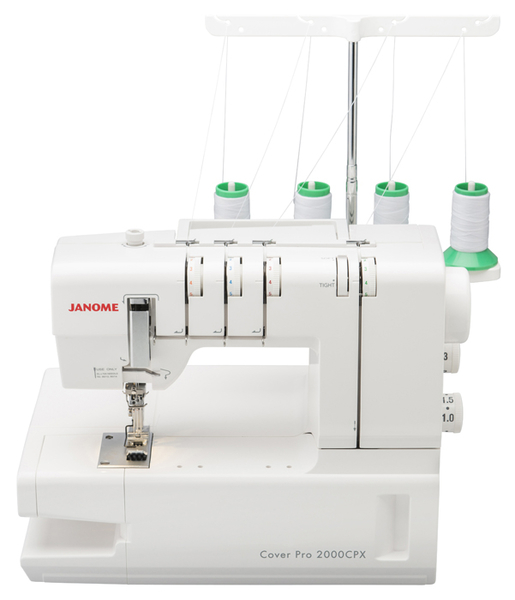 When you want to give your sewing a professional finish then the Janome CoverPro 2000 CPX is the perfect addition to your sewing room. It's the perfect companion machine for home furnishings, quilting and garment making. This machine was used on the BBC TV programme, The Great British Sewing Bee. Is this the model used on GBSB show yesterday evening? 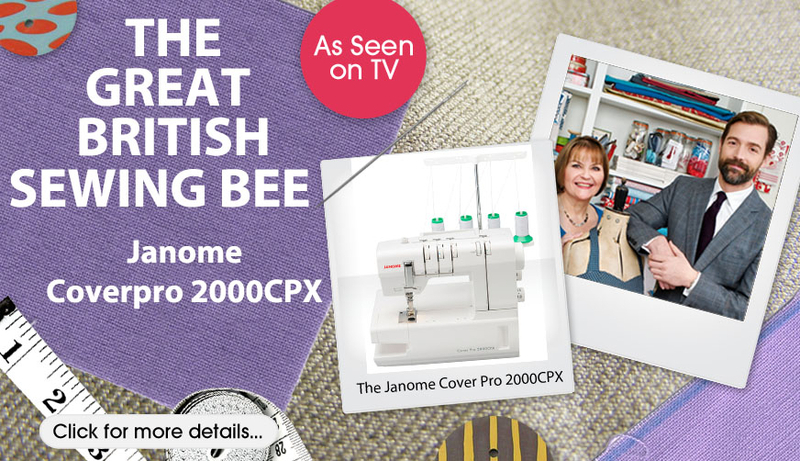 Answer 1 : Yes the Janome 2000CPX has been used on the Great British Sewing Bee TV programme. 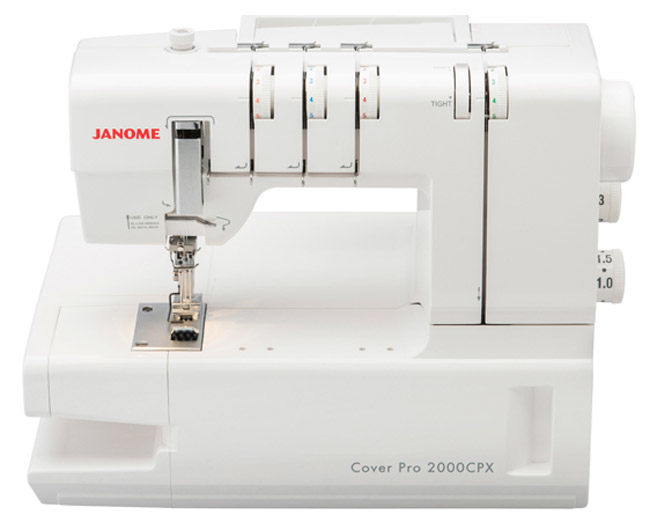 Does the Janome CoverPro 2000 CPX Cover Hem have a 'how to use video ' as well as an operational manual . Answer 1 : Unfortunately the machine only includes a Manual and there isn't a DVD available. However if you do become unstuck, there are a few videos on Youtube which will be able to assist. Answer 1 : Yes you should be able to use this model without any isses, in the UK we have a 3 pin plug you will need an adaptor to convert to 2 pin. I live in the USA. 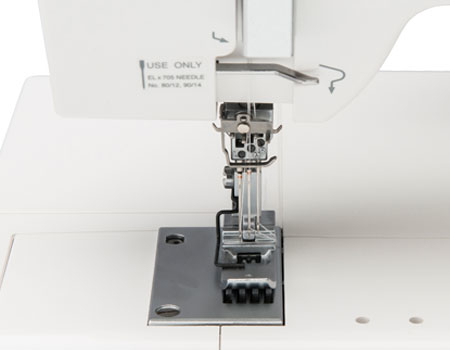 When trying to find the best price possible for a genuine Janome Coverstitch 2000CPX Binding Attachment, I found GUR Sewing items in Great Britain. I placed my order and it was shipped out right away via registered mail. i received it yesterday in perfect order. I saved over 50% of the retail cost in the USA. Thanks so much! This is excellent value and a highly recommended item. After phoning GUR for advice on the best cover stitch item, they advised me on the 2000CPX and I haven’t looked back since. It’s extremely simple to pick up, even though the 2000CPX only does one stitch, it still stitches fantastically on a wide range and on thicker fabrics. Create professionally finished edges... 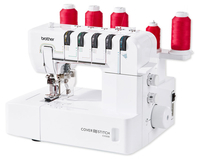 The Brother CV3550 Coverstitch machine with 5, 4, 3 and 2 threads, it enables you to produce a wide range..